We don't have much of a social calendar, but our daughter does. 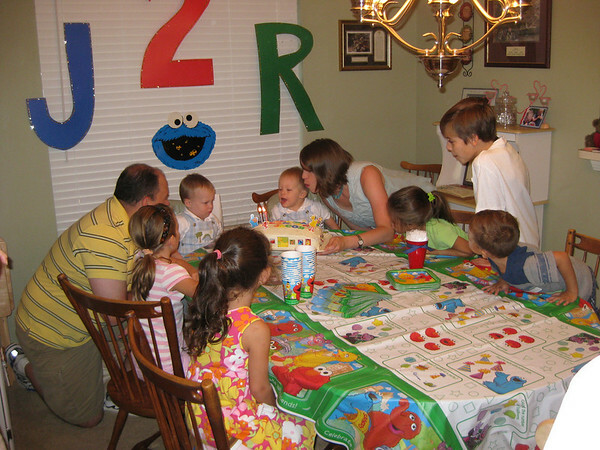 The first party was for two darling twin boys that recently turned 2. 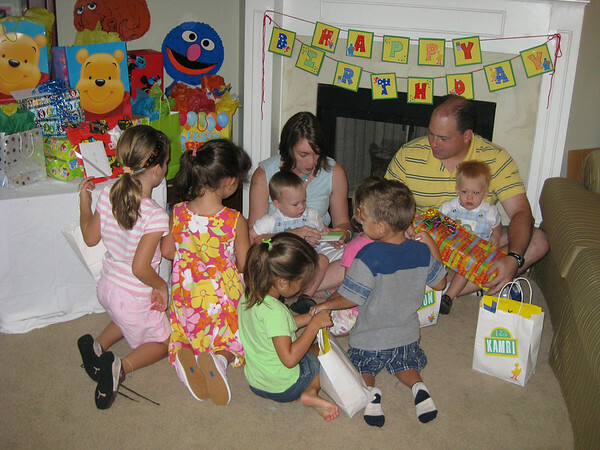 Their mama, Kim went all out with a precious Sesame Street theme and everything was FABULOUS. They hunted for Big Bird's eggs...this is A.s classic "I can't be bothered to take a picture, I'm busy looking for treats" pose. They also threw trash in Oscar's can to win Slimey worms, fished for Ernie's Rubber Ducky, and helped pin the nose on Elmo to win Dorothys (goldfish). It was so, so, so CUTE. Then it was time to open presents (notice all of the eager help) and enjoy cake and ice cream. Wheee! Happy birthday Jacob & Rylan! We immediately shifted gears and headed to Party #2. We didn't tell A. where it was until right before we arrived. PetsMart and Chuck E. Cheese are right next to each other, so we told her the party was at PetsMart. 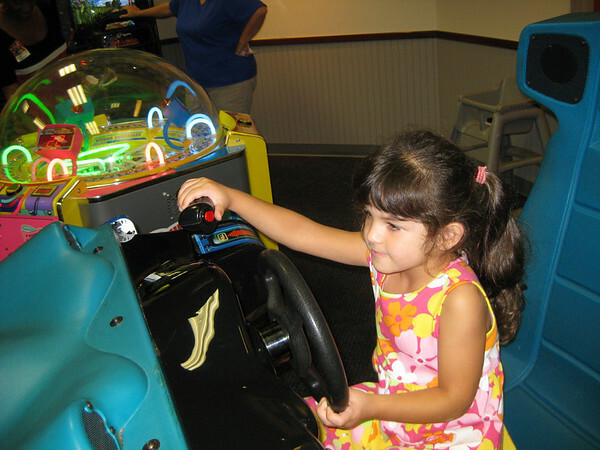 At almost 5 years old, A. had the impressive distinction of never visiting the Rat (AKA Chuck E. Cheese). We wanted to avoid it as long as we could. Aren't we fantastic role models? A. could not contain herself once we stepped inside. Games! Kids! Pizza! all packed into one place and seething with over stimulation. 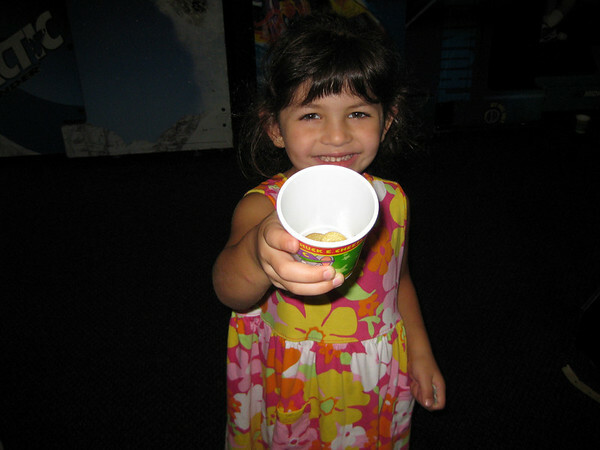 A. was so proud to have her very.own.cup. of tokens. She had no idea how to play some of the games, but got down to business anyway. I had to admire (and laugh at) her determination. 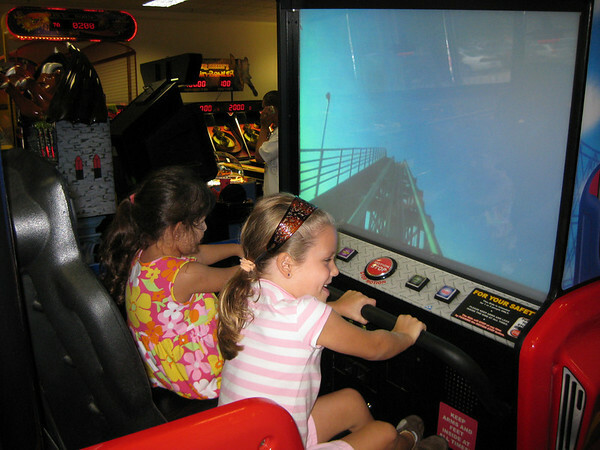 Her favorite game was the mock rollercoaster ride, which she rode no less than 5 times. After games, pizza, root beer, cupcakes, fascination with a costumed dancing rat, more games, tickets, prizes and a favor bag, she was...how can I put this...WIRED. And Scott and I were...how can I put this...tired. Oh Holly....now A has the Chuck bug! I loathe that place; maybe you can do what I did: that is G and Rhett's "Daddy/daughter place"! I get to stay home and relax/do my own thing and Rhett gets the torture!!! Oh how I remember the days of visiting the dancing rat. Haven't been there is years and don't miss it a bit. I hope you all got some rest on Sunday! We went to the Mouse too! The boys loved it! It looks like the day was so fun! 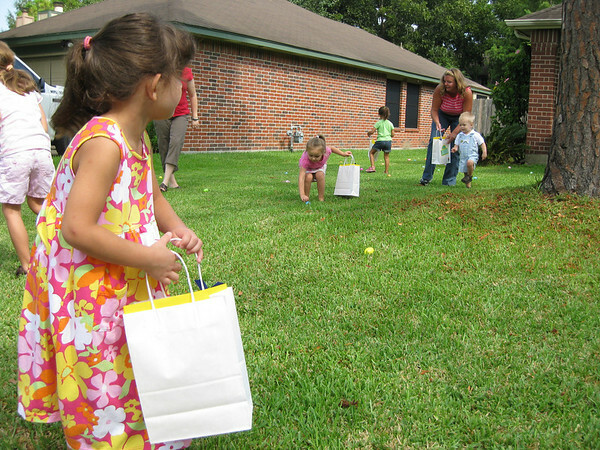 they are blessed to have such wonderful christian examples! Fun. I hate the House of Mouse as we call it. If we do have to go, we go early in the morning on a holiday. July 4th it was practically empty. I can handle it empty!! Upchuch e. cheese- haven't been there for years. there is not one for miles & miles... bummer. what a crazy fun day- how long do you think it'll be until you're back with the mouse? That place is so grody, but MAN, my kids love it. I try to limit it to like once a year. She looks like she had too much fun, and of course, wouldn't it be Kim to have a megaparty for the boys. Miss you guys!